This is the Shark Hand Held Steam Cleaner reviews. Why you should consider the Steam Blaster Jr. and Shark’s hard surface steam cleaner? The handheld steam cleaner is the easiest and most portable steam cleaner available. They’re perfect for cleaning small stains on your wall or even carpet. 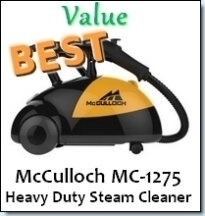 They are usually the cheapest steam cleaners, due to their small size, tank and capabilities. When buying one of these machines, it’s important to monitor your expectations. These machines were not meant for heavy duty cleaning, but rather lightweight jobs. They are the “every thingers,” so to speak. 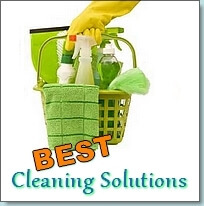 One of the things you shouldn’t expect is for them to be able to produce the steam amount or pressure of canister steam cleaners or even steam mops. We will have a look at the Shark Hand Held Steam Cleaner and review all of Shark’s hand held’s according to features, ability and consumer reviews. This is another “As Seen On Tv” product and can be yours for around $35. 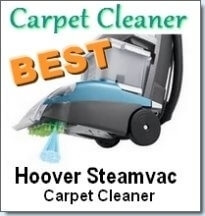 The steamer is powered by 1,500 Watts, has a 13 ft. cord and even has the continuous refill feature. This feature allows you to continue filling water when the tank reserve goes low even while the steam cleaner is in use. 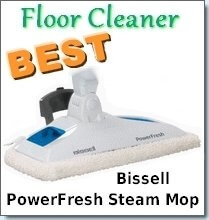 This allows you to continuously steam clean. This feature is not even common in full sized steam cleaners, so it’s surprising and great value for you to have it in a hand held. You can use this Shark Hand Held Steam Cleaner to sanitize a wide variety of surfaces including counter tops, tiles, bathrooms, mirrors and more. The consumer reviews on this item are somewhat mixed. Some say that this product works well and is great for cleaning items that are “caked” in grime. It loosens the hold of the dirt which allows you to wipe it away. Other users have used it to successfully spot clean carpets, wall food splatters, kitchen cabinets and even grout. The negative reviews of this steamer are that the water fill opening is positioned at the bottom of the steamer which some users report leaks. Besides the leaking other users report that the steam is not hot enough and having to pump constantly to get steam becomes annoying after awhile. It is powered by 1,000 Watts and has a vacuum for hard surfaces. The hose’s length runs to about 38 inches and is quite flexible while the power cord is 16 feet in length. It runs only on water and it has a wide arrangement of attachments which include a squeegee, 3 nylon brushes, nozzle, steam diffuser and a measuring cup. You can use it to clean a wide variety of surfaces like counter tops, mirrors, appliances, bathroom floors, glass, tile and more. One consumer review on this product indicates that this is the “best product I’ve ever bought” They used it to clean baby toys, swings, strollers, high seats etc. All you have to do is spray on the steam and wipe it off with a cloth. This allows you to safely clean your baby’s and childrens belongings knowing that they will not come into contact with chemical cleaners. You can also use the attachments to easily clean other surfaces as it loosens the dirt enough for you to simply wipe it away. The negative comments on this Shark Hand Held Steam Cleaner indicated that it’s not very powerful and you have to hold it on one spot for a period of time to sanitize it.